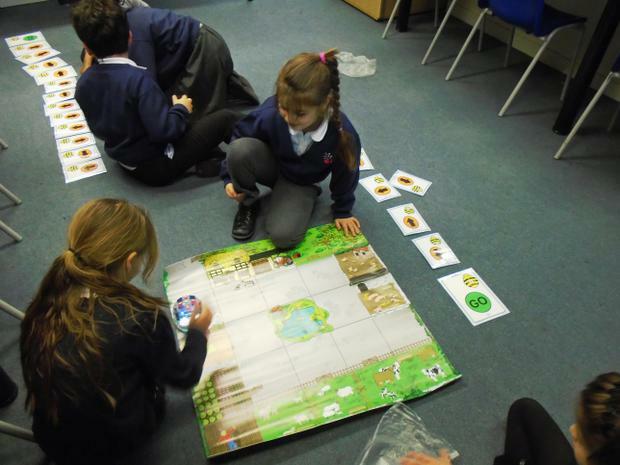 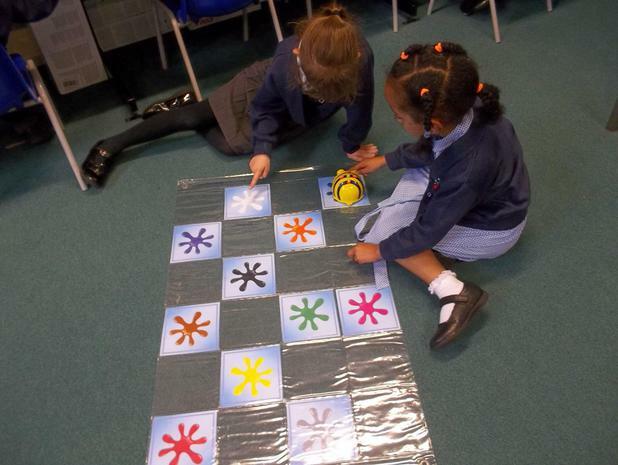 This half term Year 1 and Year 2 will be programming floor robots! 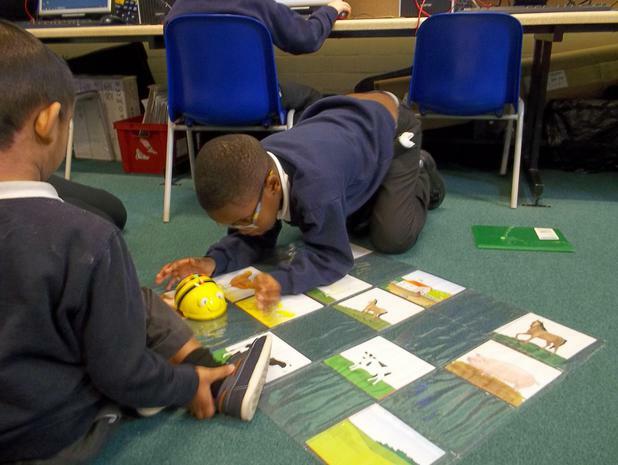 They will be using Beebots and Roamers. 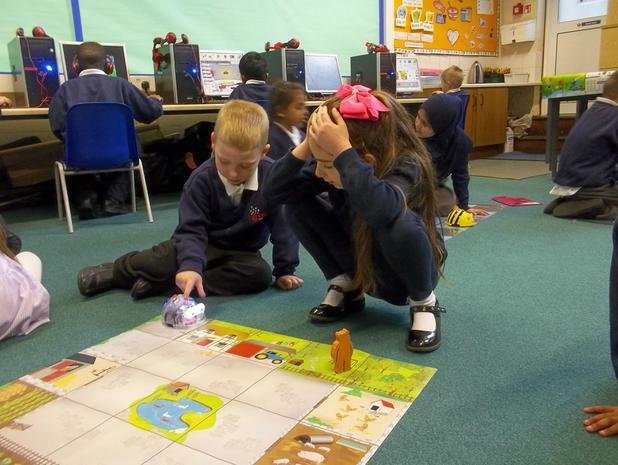 They will write algorithms and challenge each other to follow the algorithm correctly. 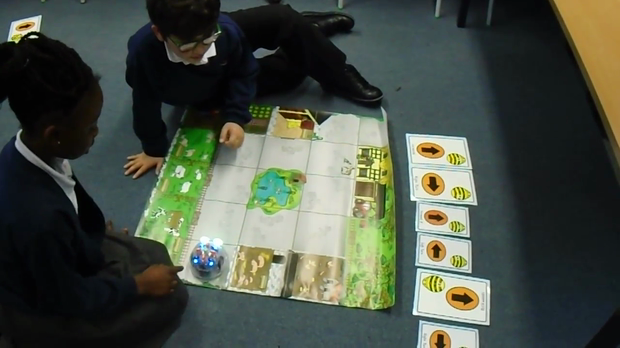 They will be given a variety of challenges to complete using the Beebots and Roamers. 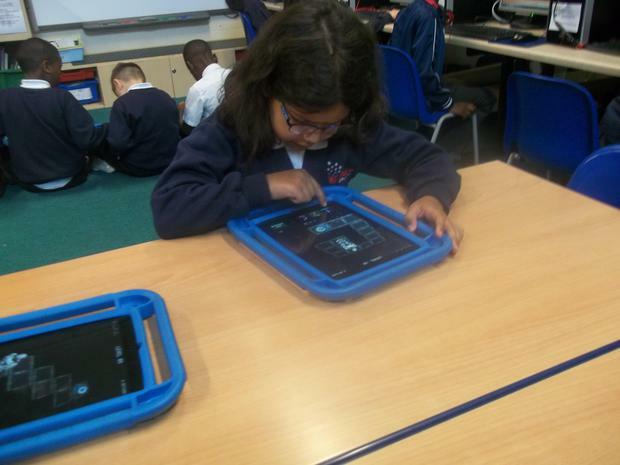 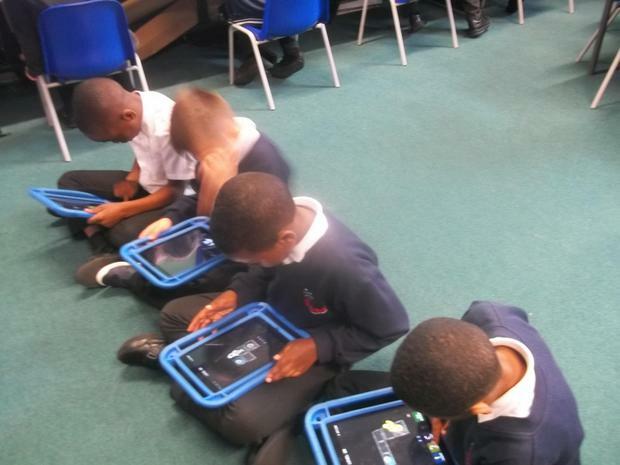 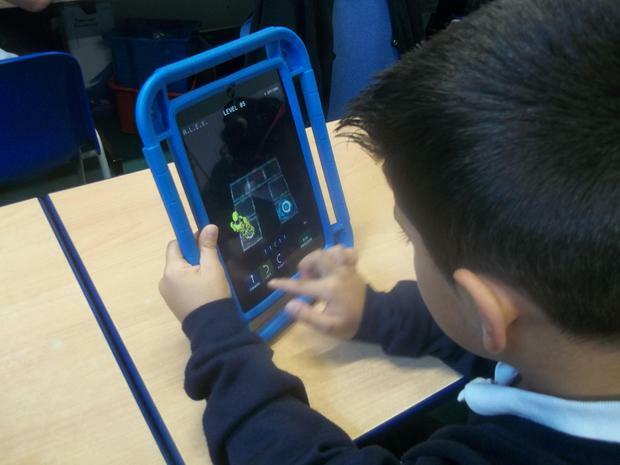 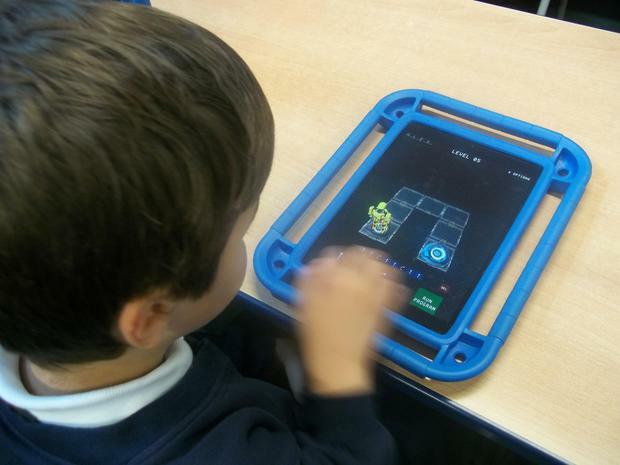 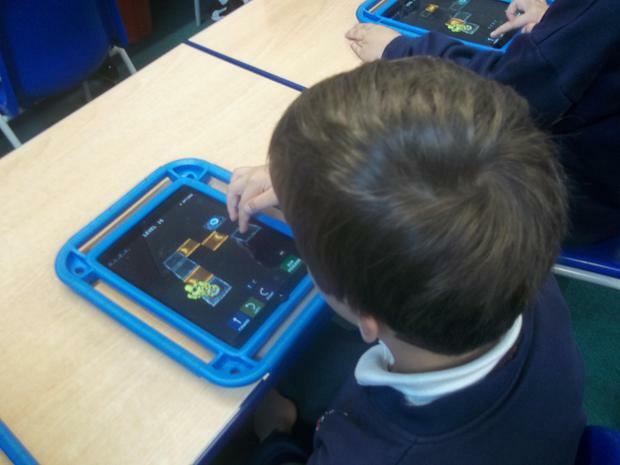 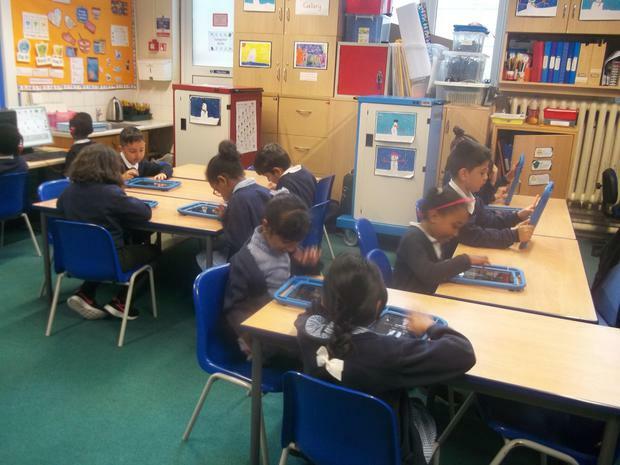 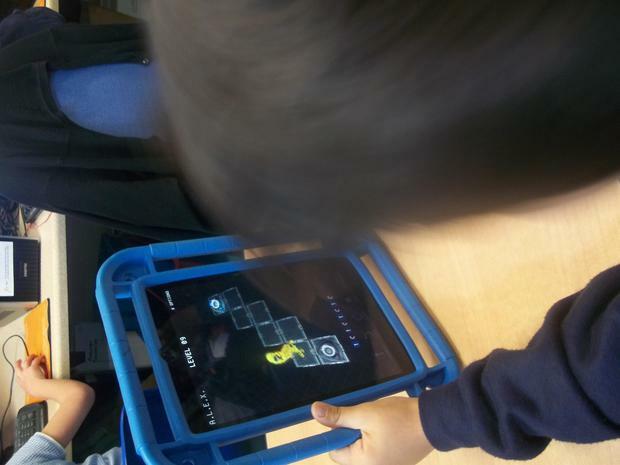 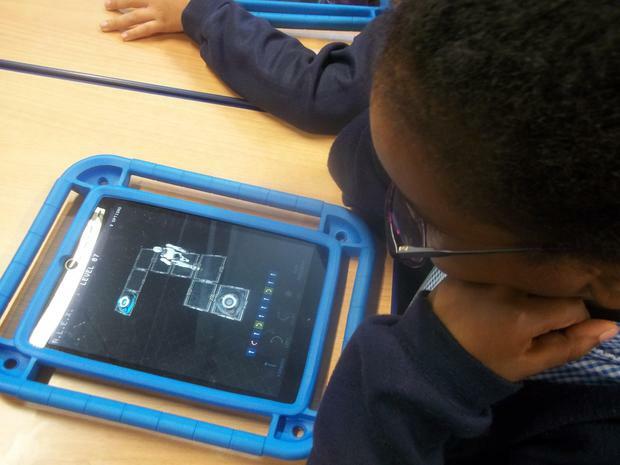 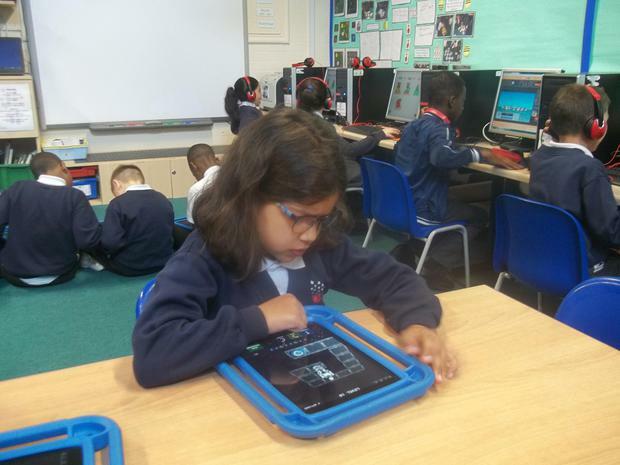 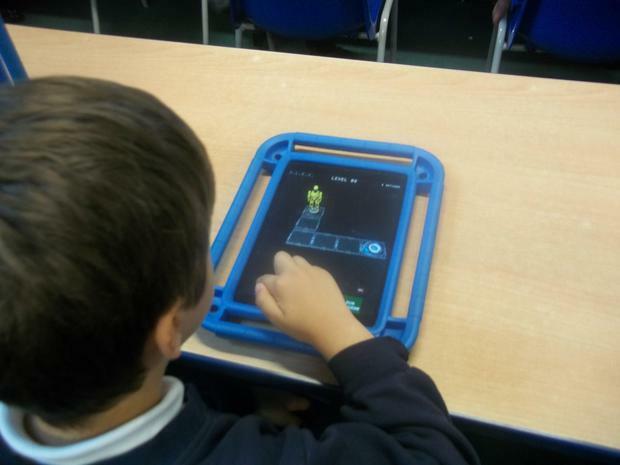 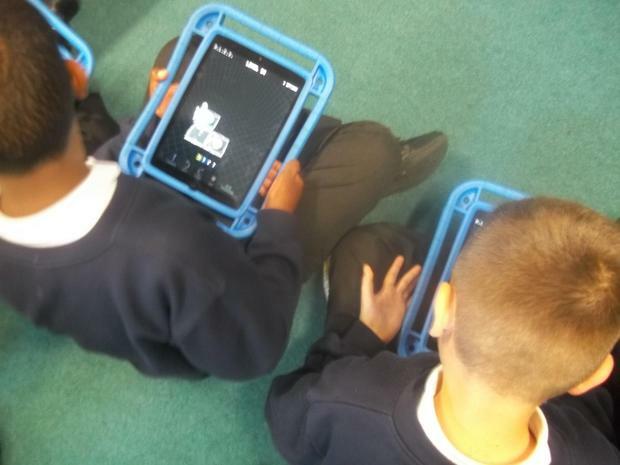 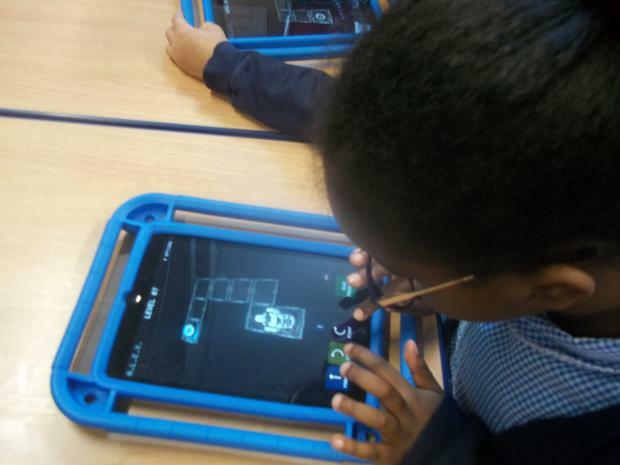 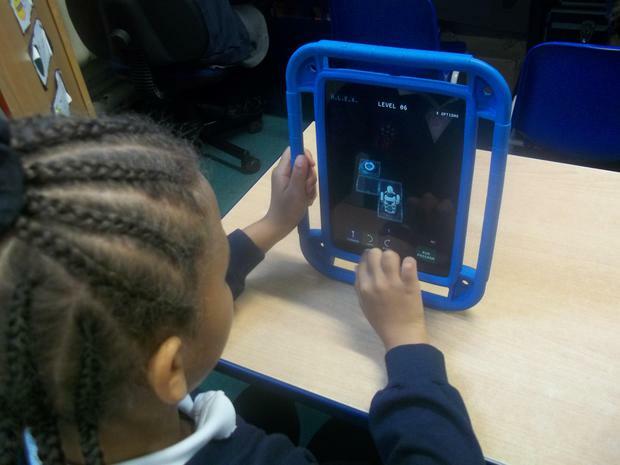 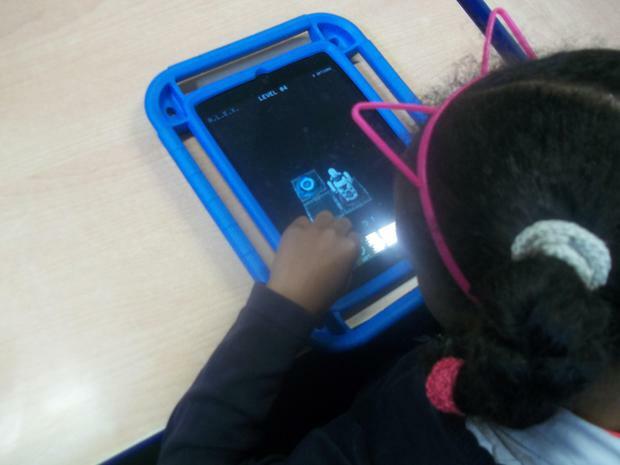 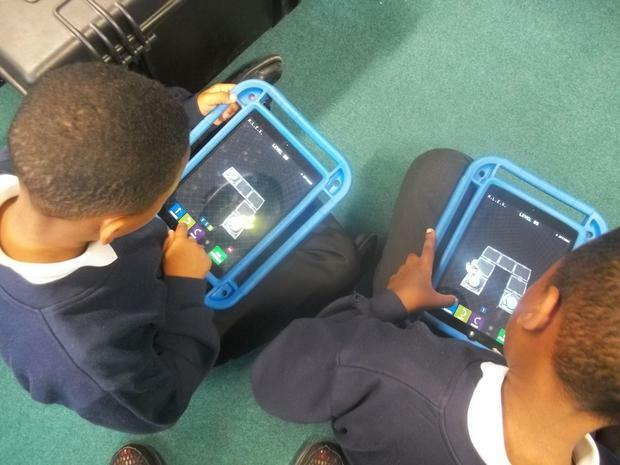 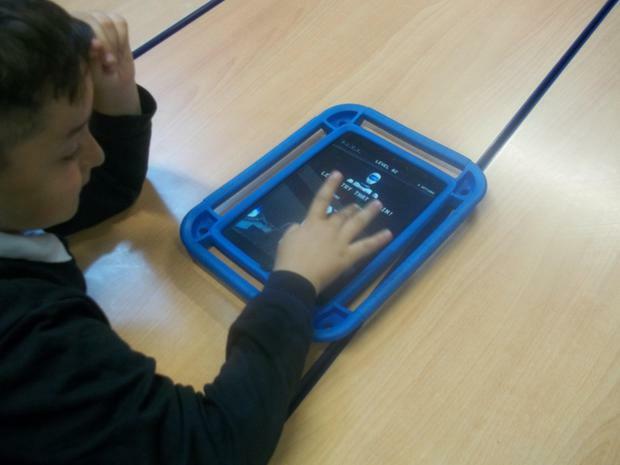 Year 2 had to solve challenges using A.L.E.X on the Ipads! 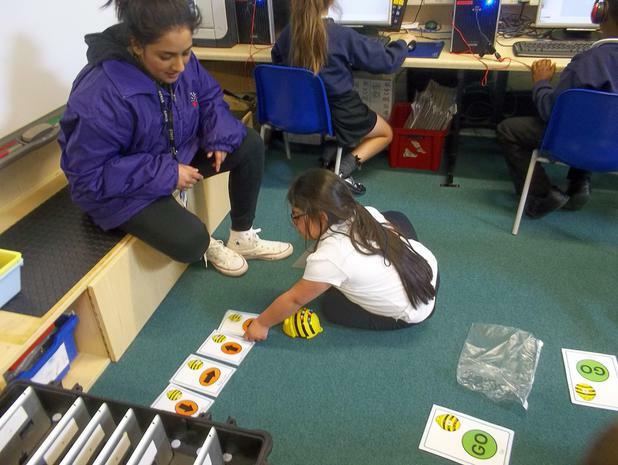 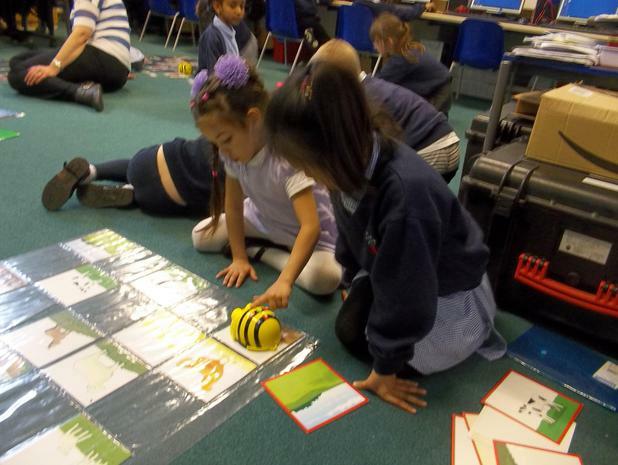 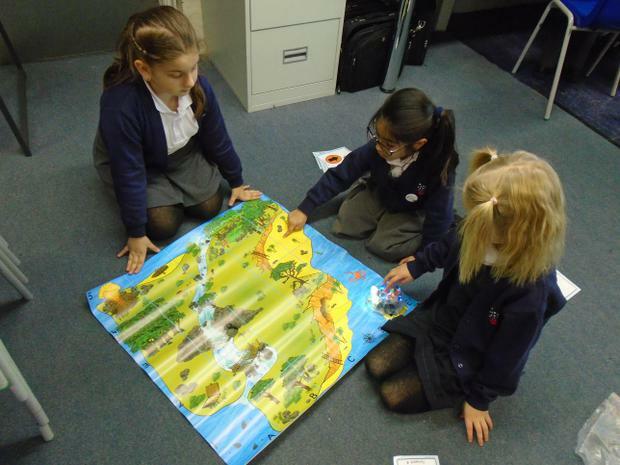 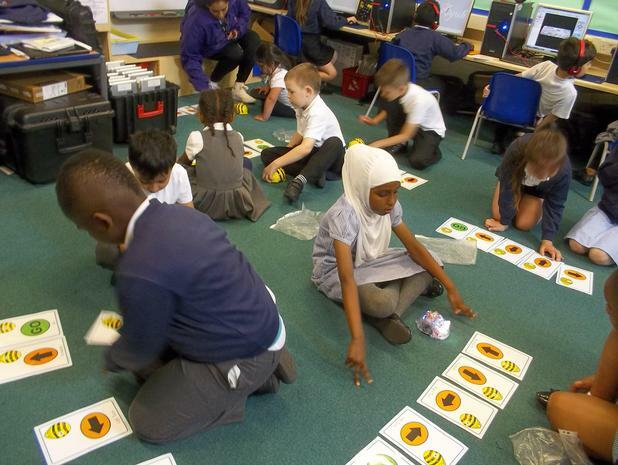 In Year 1 we have been completing different Beebot challenges. 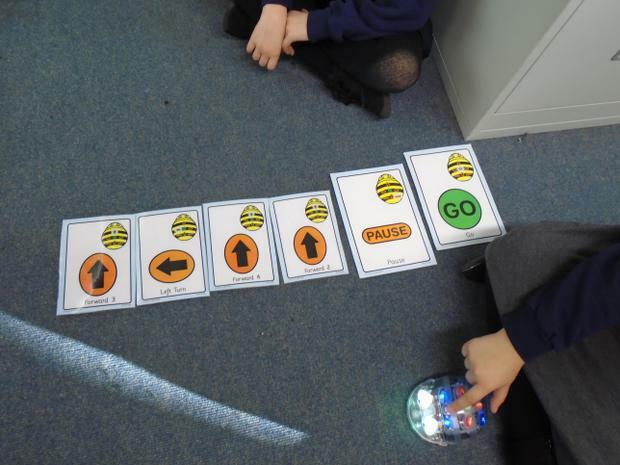 We had to get the Beebot from one place to the other. 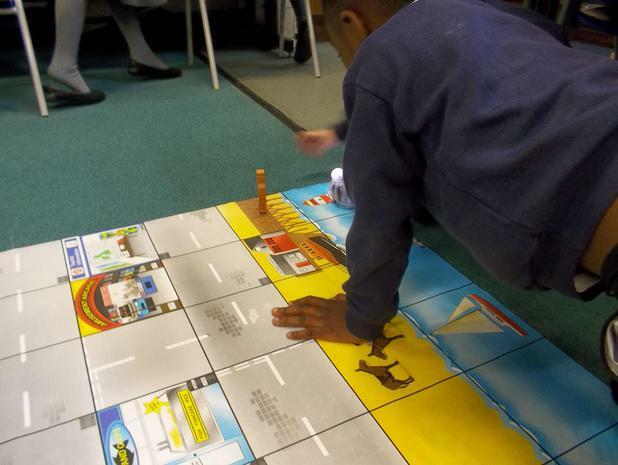 We had to work out how to move it more than one step at a time. 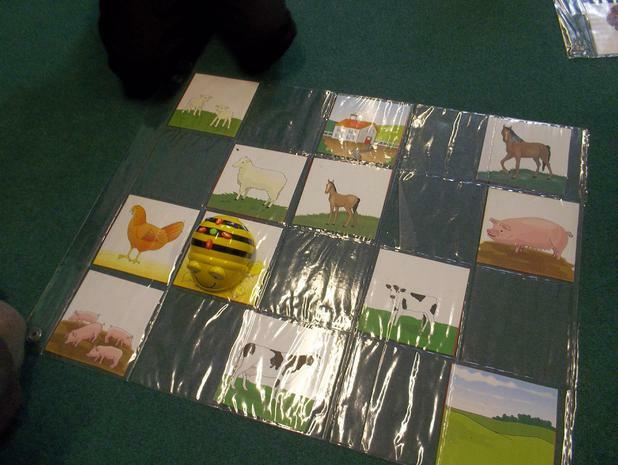 We got really good at this. 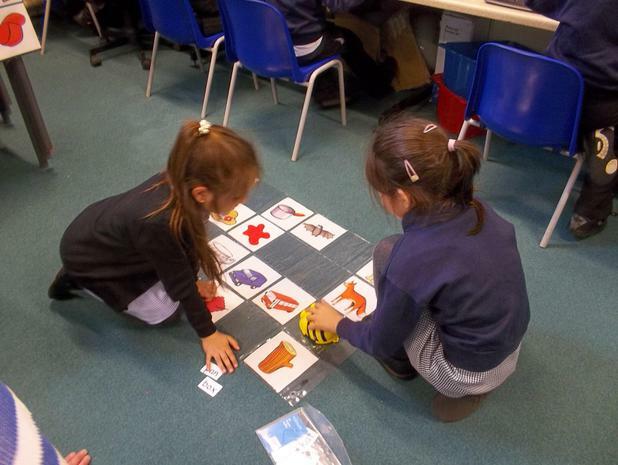 We have been writing and following algorithms. 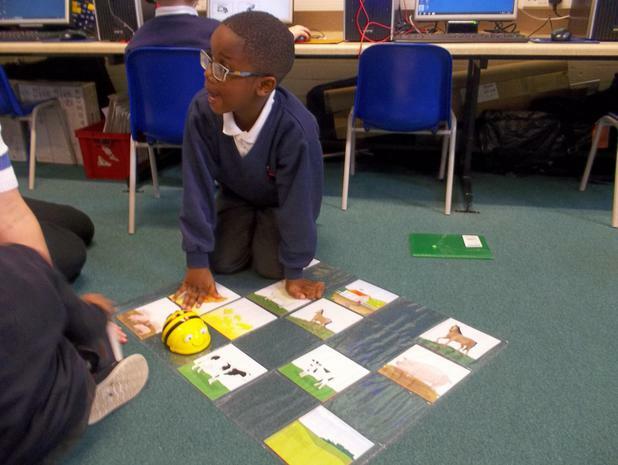 We had to make an algorithm for our partner to follow. 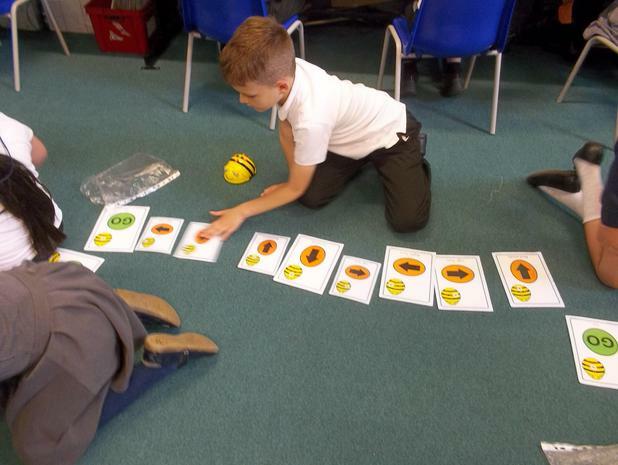 We were given extra cards to make the algorithm more difficult. 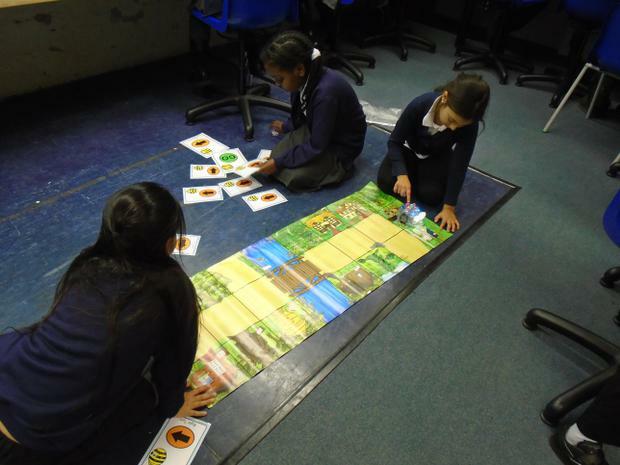 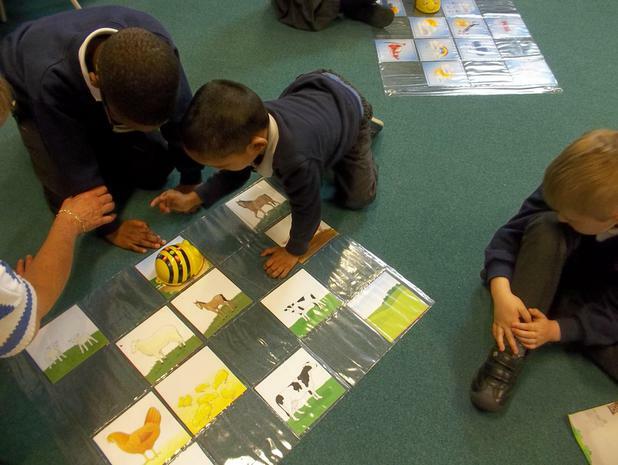 For another activity we had to work out how to get the Beebot from one place to another on a mat. 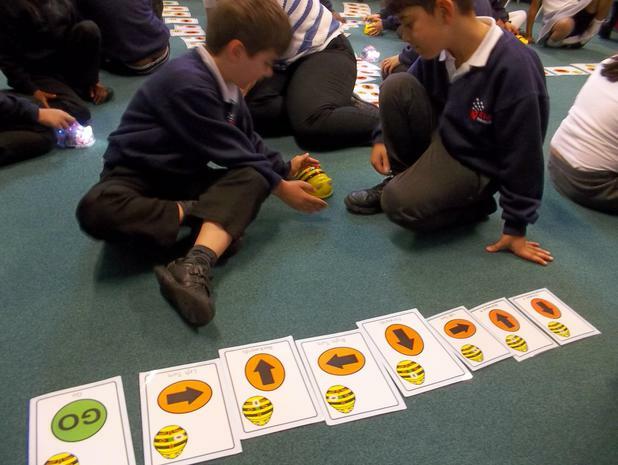 We wrote down the algorithm then our partner had to follow it. 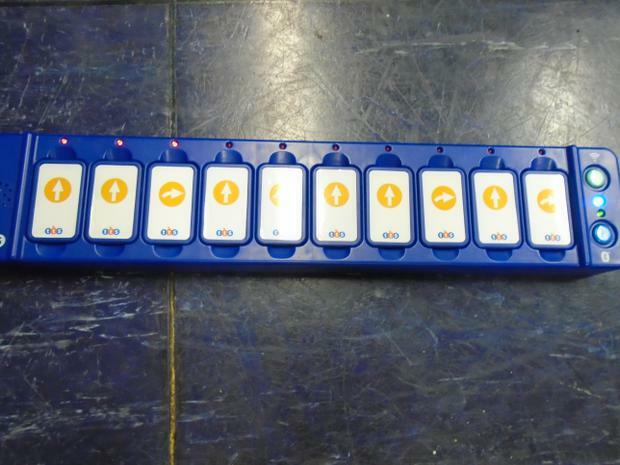 If we had made a mistake we had to put it right. 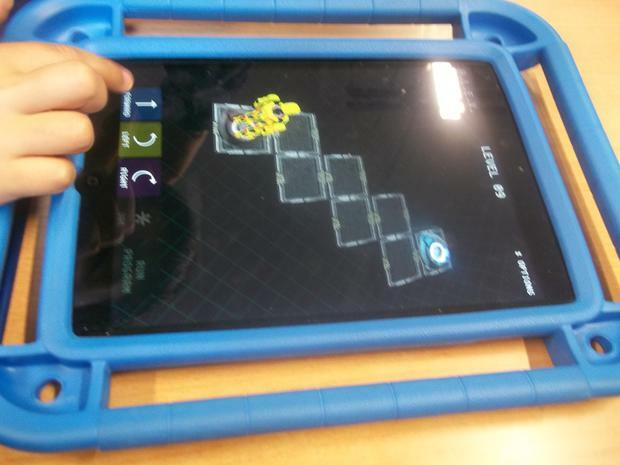 This is called debugging. 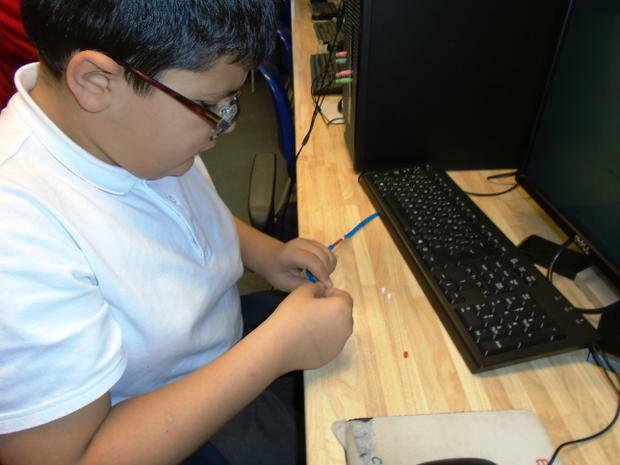 This half term the children will be using Scratch and Makey Makey they will be writing programs and experimenting with various objects. 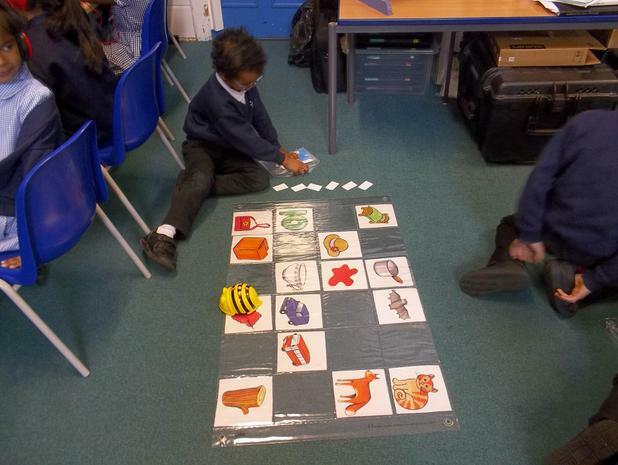 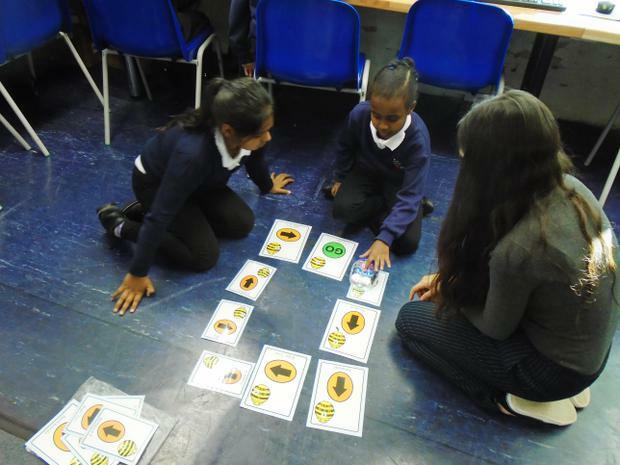 In Year 3 we have been creating algorithms. 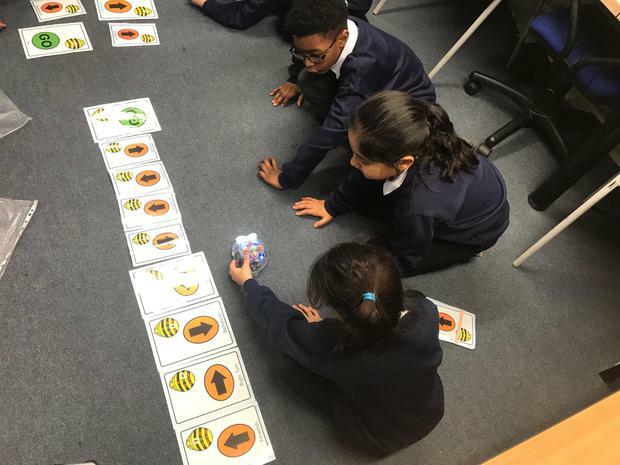 We worked in groups to create a sequence of instructions and then our partners had to follow the algorithm using a Blue-Bot. 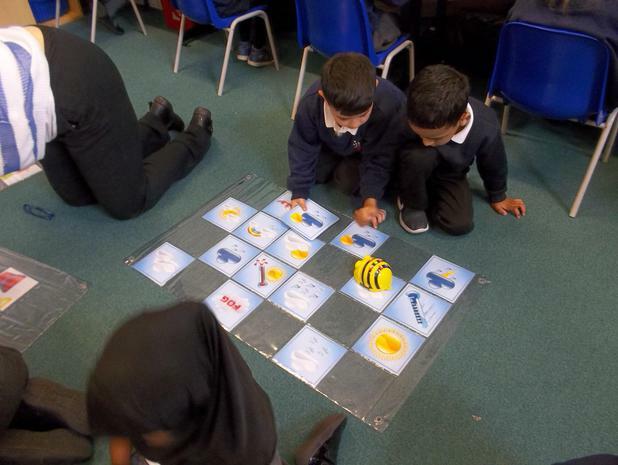 We also had to complete Bee-bot challenges on the computer. 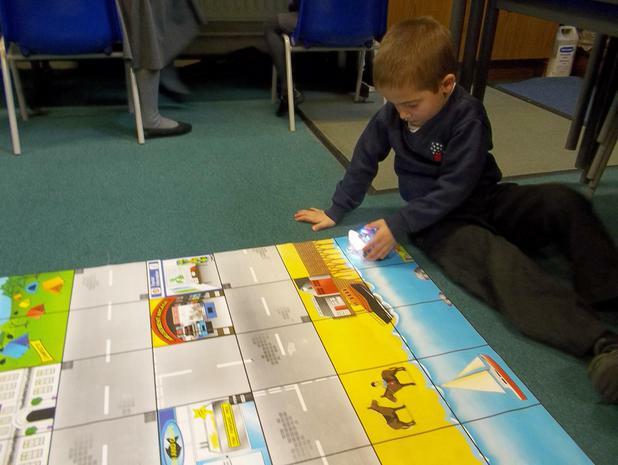 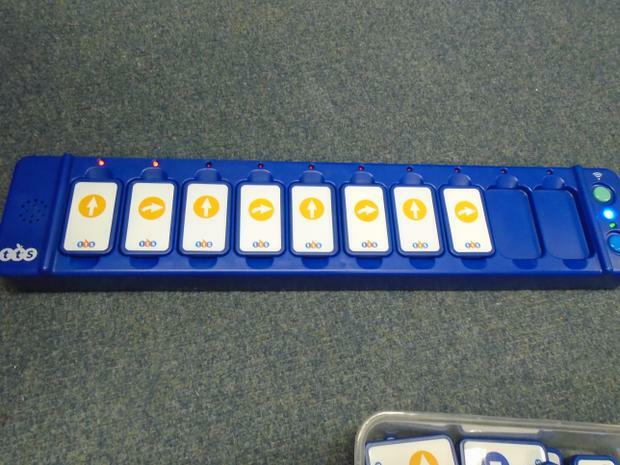 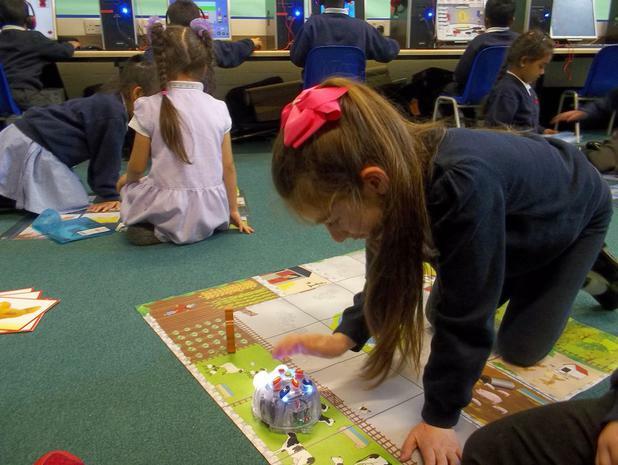 We have also been using Blue-bots and Tactile readers to create algorithms that will make the Blue-bot move in a square. 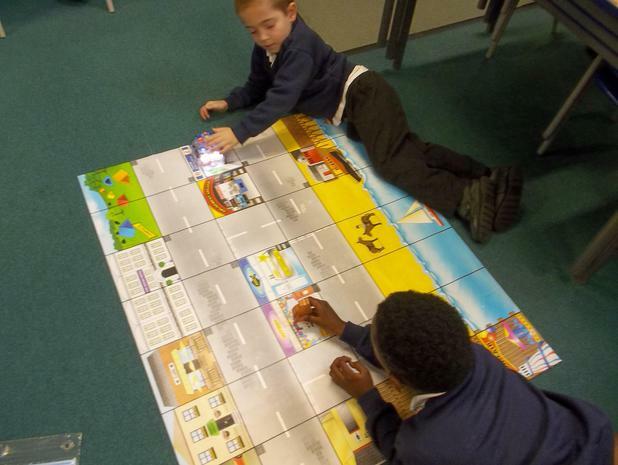 We had to test our programmes and correct (debug) them if there were any mistakes. 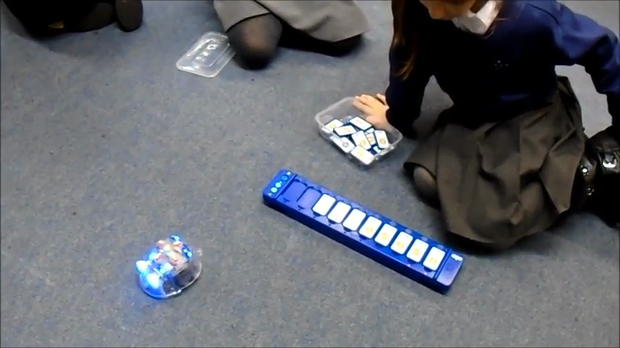 Once the Blue-bot moved in a square we tried to change our algorithms so the Blue-bot would move in a rectangle. 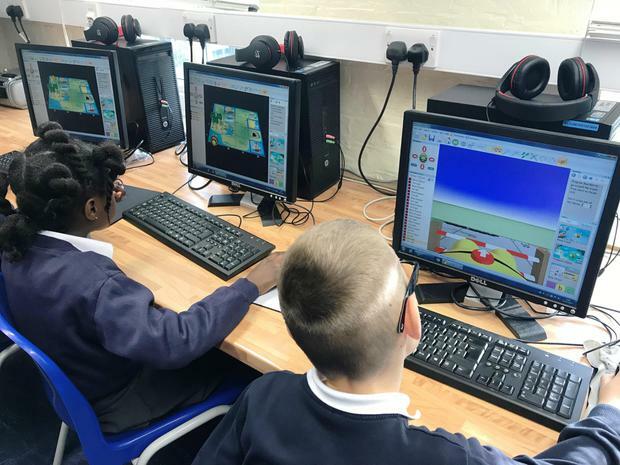 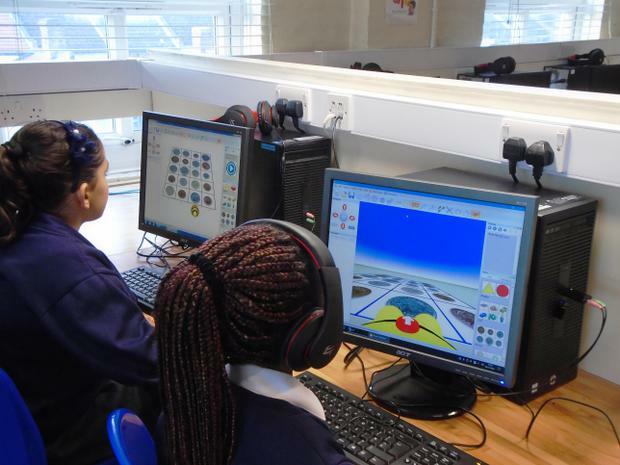 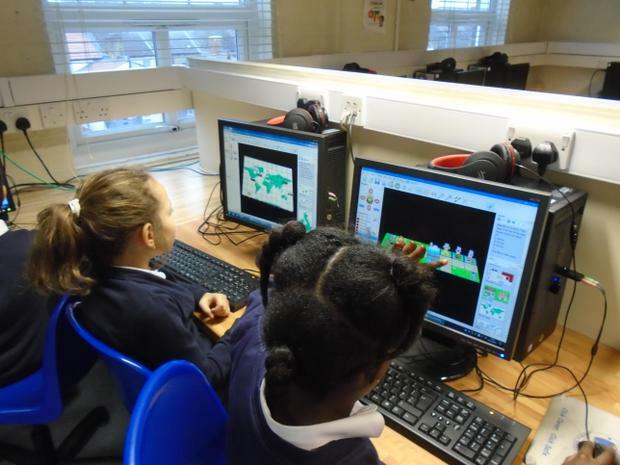 In the Autumn term we learnt about how computers work. 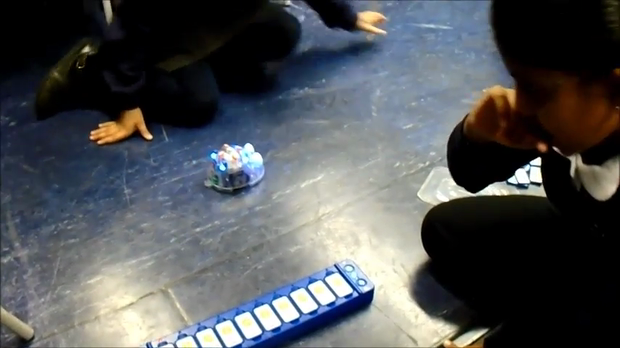 We know that wires carry information through the machine in the form of electricity, but do computers actually speak English? 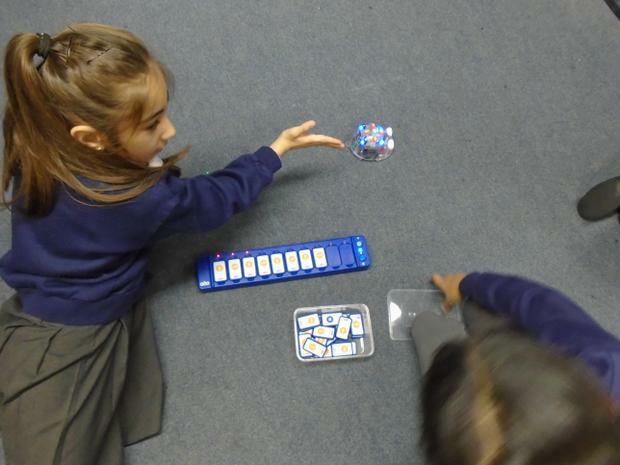 Do they store information as sentences that we can understand? 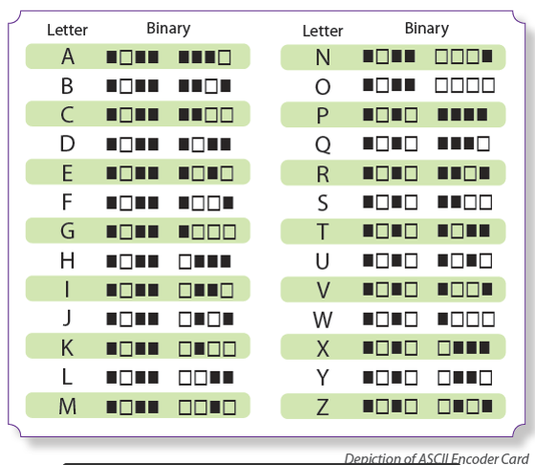 Each place that you have a binary option is called a "binary digit" or "bit" for short. 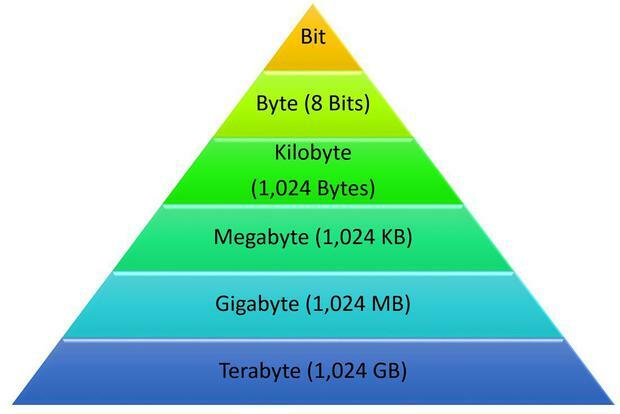 A grouping of eight bits is called a byte. 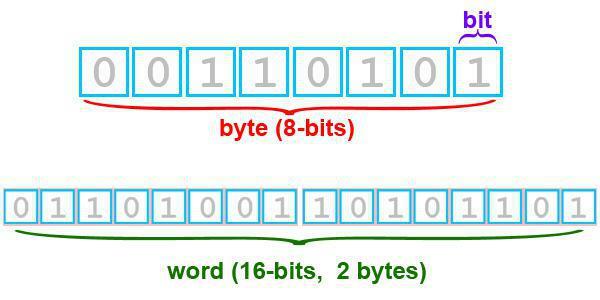 Each letter is made of eight bits (one byte), each bit is either black or white (off or on). 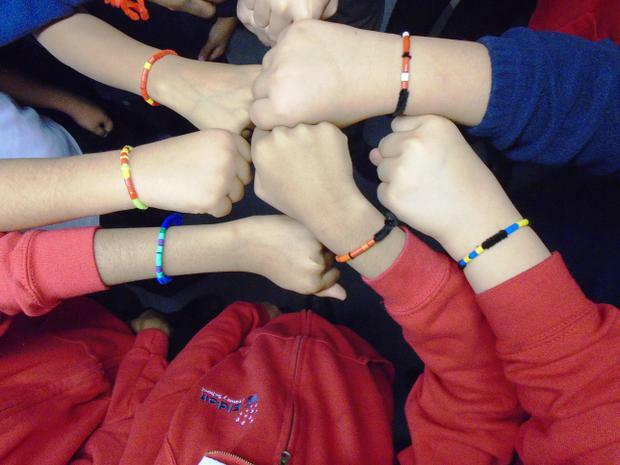 We used the decoder key to find out what the initial of our first name was in bytes and then created a binary code bracelet. 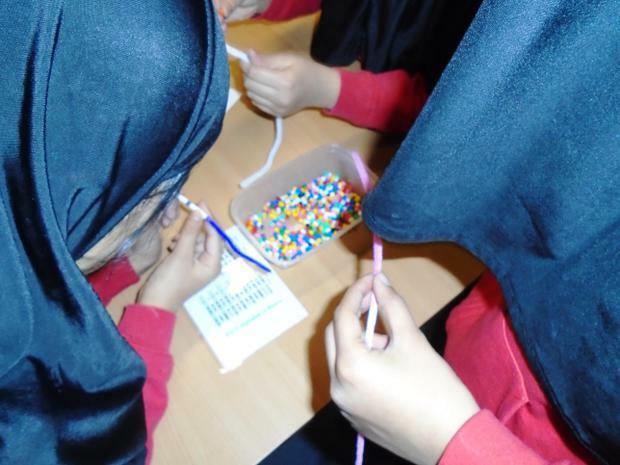 We chose two colours (off or on) and took the number of beads we needed in each colour. 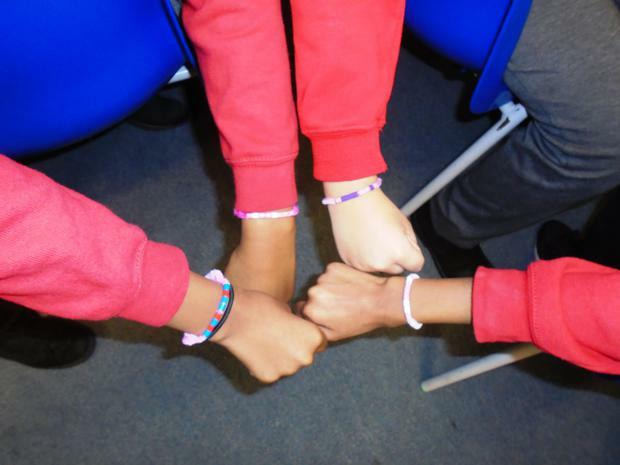 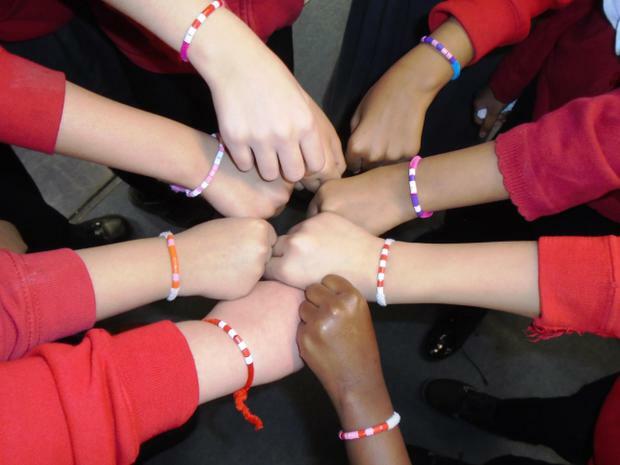 Then we had to thread the beads onto a pipe cleaner and tie it around our wrist.